If you’ve ever felt like there wasn’t a word for something you were trying to describe, perhaps you should have asked the plants. Susan Mains and Asher Mains have done just that. 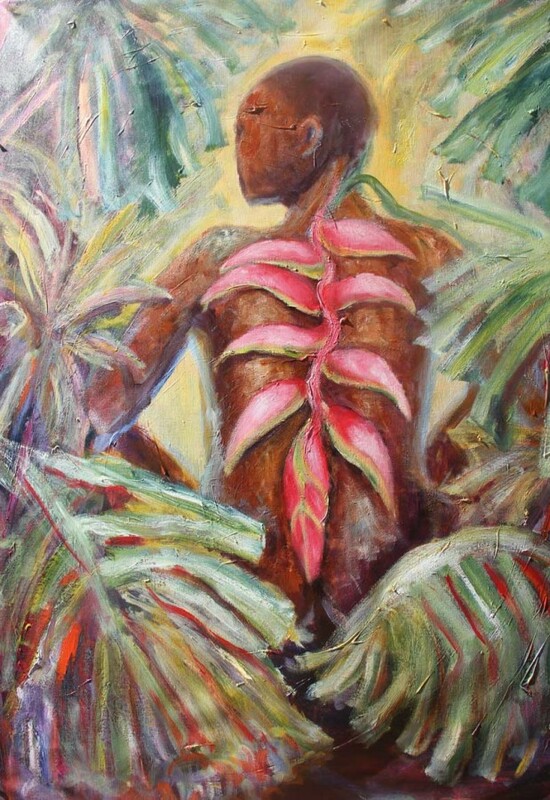 Bringing a veritable garden of new paintings and installations from Grenada, Susan and Asher Mains are divulging the plants’ secrets at “Grafted Narratives”, which opened at the Caribbean Art Gallery in Speightstown, Barbados on 15 February 2014. The first aspect you may notice about Asher Mains’ work, aside from the abounding plant material in the paintings, are the Latin titles. “We are quick to give human qualities to plants and animals but have we considered that some words used only for plants may better describe the human condition?” says Mains. Archaeophyte, for example, describes a plant that is a non-native to a geographical area but had been introduced in an “ancient” time. 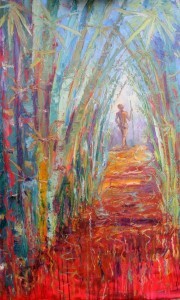 It also describes the painting of a Rasta gazing at the viewer with eyes tempered by wisdom and age. Or Epicorm, a part of a plant that would not grow except if the plant had been damaged or burned. Epicorm in the series is an old man, squatting and waiting to be provoked into expressing his new form. There are many words that we can borrow from the plants to better describe and understand ourselves. While the plants may wait to share their mysteries with you — these paintings may not. 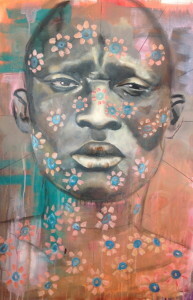 The exhibit continues through 15 March at Gallery of Caribbean Art.